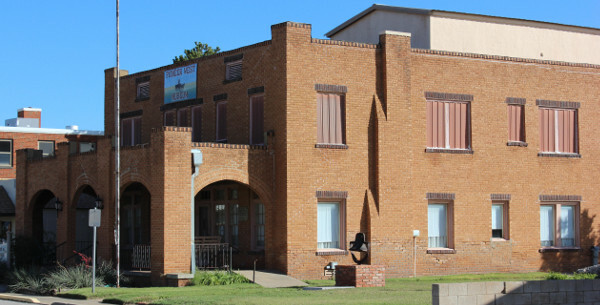 Visit the historic city of Shamrock, Texas. In addition to restaurants and shopping, you will find many interesting historic sites and attractions. To get there, exit the park to the right, stay on Route 66 for about 3 miles. Make a right at the corner of Route 66 and US 83, Downtown Shamrock is less than a mile down the road. Located right at the intersection of Historic Route 66 and US 83, the U Drop Inn is the restored Conoco filling station featured in the Disney Movie, Cars. Inside is a small museum and gift shop. 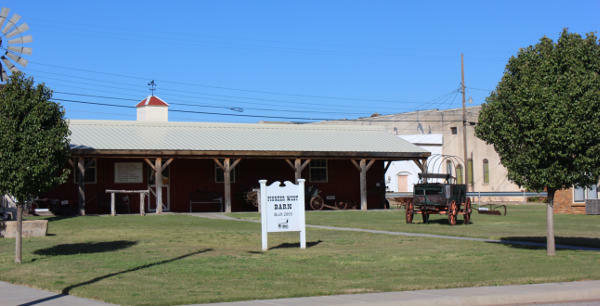 Located in Shamrock on 204 North Madden Street, the Pioneer West Museum is in the Former Reynolds Hotel. A very nice museum with a wide variety of exhibits from the early days of the West to the NASA Apollo mission featuring astronaut Alan Bean. This water tower was built over 100 years ago and cost over $6,500 to build and is one of, if not the tallest water tower in Texas. The water tower plaza has many interesting sites and photo opportunities. Come and kiss the Blarney Stone in Shamrock at the Blarney Stone plaza. Find out how a piece of the Blarney Stone came to Shamrock, Texas.